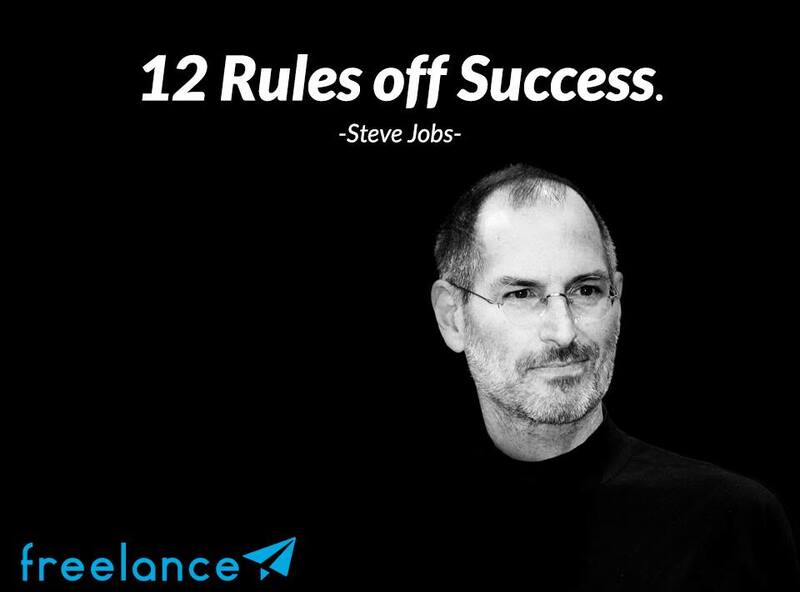 Braamfontein Alive: 12 Rules of Success by Steve Jobs. 12 Rules of Success by Steve Jobs. Sometimes for success to come our way we need to dog the footsteps of successful people around. 1. Do what you love to do. The only way to do great work is to love what you do. 2. Don't hesitate to throw bad apples out of the company. 3. Better be a pirate than to join the navy. Be different. 4. Sometimes the first step is the hardest one. Just take it. Have the courage to follow your heart and intuition. 5. Don't worry about too many things at once. Start small, think big. 6. Learn continually. There's always one more thing to learn. 7. Don't do it foe the money. ( Choose a job you love, and you will never have to work a day in your life). 8. Don't let the noise of others' opinions drown out your own inner voice. 9. Your time is limited, so don't waste it living someone else's life. 10. Say No to 1.000 things. 11. Have the courage to follow your heart and intuition. They somehow already know what you truly want to become. 12. Stay Hungry, Stay Foolish.